We do not curently have theatre tickets available for Henry V. This could be because we have simply sold out or it could be that this show is no longer running. The information on this page remains purely for historical and informational purposes. "Follow your spirit: and upon this charge, Cry  God for Harry! England and Saint George!" As England triumphs at the Battle of Agincourt during her quest to win the French crown, Henry V becomes one of the great warrior kings leading “we happy few, we band of brothers “ in Shakespeare’s retelling of this famous victory. Directed by Donmar Warehouse Associate Director Robert Hastie, Olivier Award-winning actress Michelle Terry takes the title role of Henry. 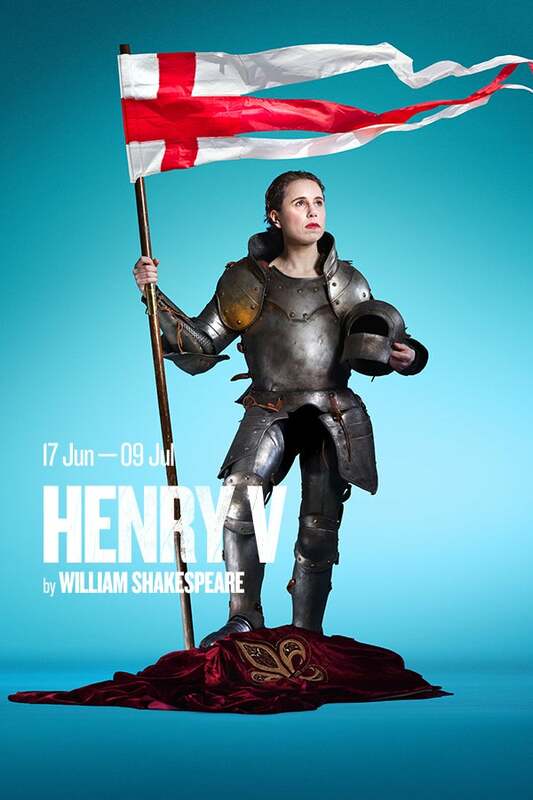 Henry V is part of Shakespeare400, celebrating Shakespeare’s creative influence in national and global culture in the 400th anniversary of his death.